ABOUT THE RESTAURANT: This is the place the community comes for Savory & Delicious BBQ and Burgers, in fact this BBQ Business just won the #13th Best Burger in all of Arkansas! The restaurants's ratings are great too! Google gives it 4.6+ stars with 237 reviews while Facebook gives it 4.9 Stars with 177 reviews. So allot of the heavy lifting has been done for you starting this business and now you need to take the business to the next level! 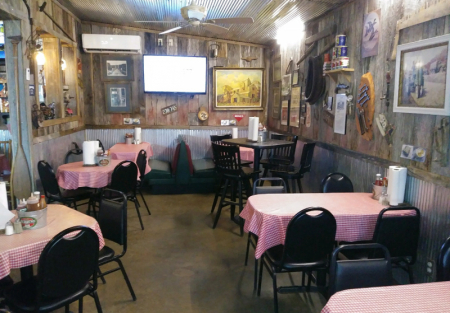 Whether one is traveling to Branson or to the rivers and lakes for outdoor sporting, this is one all critics agree you should stop in for lunch or dinner. This is the local's place to go for great food, cold drinks and to mingle with friends and family. Operating since 2015, this restaurant comes with a great old fashion rustic building (but not old only 3-4 years old) with nearly 1,800 Sq. Ft. on nearly an acre of dirt! The building is well maintained and shows beautifully with a purposeful rustic look making it a charming place to hang and have some coffee or tea. There are two large outside covered patios for games and fun as well as relaxation while the kids play games. All recipes and sauces are included in the sale. FINANCIALS: 2018 Revenues (Sales) were $532,000 with free cash flow of $114,000. Food costs were 40.2% and labor costs 25.7%. SBA LOAN: An SBA loan is available to qualified buyers. To qualify one needs restaurant management experience, 20% cash down in your bank, FICO score in the 700's and finally proof you've been successful via building equity and wealth during your career. Banks will allocate the price between real estate and business different, so this is an estimate only. The blended month Principal and Interest payment would be about $2,165 with $84,000 down, leaving roughly $88,000 for a working owner. Of course, put more down, and take home more income. Opens 11 a.m. - 8 p.m. Wednesday through Saturday and 11 a.m. - 3 p.m. on Sunday.